Have you ever wished that life could be less complicated and more fulfilling in today’s ever-shifting terrain of modern living? In Live Well, Love Much, Laugh Often, author Apelles Poh Presents an inspirational, holistic approach to enlighten, empower and enrich those who wish to find greater fulfillment and a better balance in their personal life, relationships and work. With penetrating insights, both personal and culled from great minds past and present, Apelles flavours the book with engaging anecdotes to put forth an appealing and timely message that is badly needed in an increasingly hectic and chaotic world. Divided into four parts and twenty-seven thought-provoking chapters, Live Well, Love Much, Laugh Often is a fount of wisdom and practical advice that is both entertaining and easy to grasp. Peppered with illuminating quips, quotes, short stories, and a dash of humour, the book is also a good resource for leaders, educators, managers, presenters and anyone who wants to become a better communicator. Expert. objective reviews of more than 2,000 selected outlets / Over 30 shopping categories from art to wet markets / Six shopping areas comprehensively covered including Chinatown, Arab Street, Little India & Holland Village / Saves readers time, money & effort / Ratings for price, service, quality, range & value for money / Local tips on what, where, when & how to buy / History & geography / User-friendly maps / Website updates with the latest news plus hotel, dining, nightlife & sightseeing options / No paid advertising. Expert, objective reviews of more than 1,000 selected shops & services / Over 30 shopping categories from antiques to woodcarvings / Six shopping areas comprehensively covered (Denpasar, Kuta, Lombok, Sanur, Seminyak & Ubud) / Courses including cooking, scuba-diving, jewellery-making & surfing / Accommodation, nightlife & restaurants / Golf-courses & spas / Ratings for price, service, quality, range & value for money / Local tips on what, where, when & how to buy / History & geography / User-friendly maps / Saves time, money & effort / No paid advertising. What started as a talk on Irish teaching missionaries for the Friends of the Museums in 2000 grew into an all-consuming passion to tell the stories of the Irish in Singapore. Some lost, some forgotten, some never before told: the Irish who helped make Singapore what it is today. How to double your sales income? The secret is out in this book that outlines multi-prong strategies in securing more and more exclusive listings - without spending too much money. With the correct techniques and positive mindset you will be guaranteed quality listings every other day and enjoy a very high sales income. 1. Negotiation skills is the lifeblood. 2. Negotiation can be learned. 3. There are good and bad negotiation skills. 4. Style is more important than substance. Imagine the sensation of light filtering to the depths of the clear liquid realm surrounding Hawaii, etc... These are the glimpses that Gregory Burns provides us from his travels. His profound, yet lyrical take on reality is an ethereal task base on landscapes and cultural artifacts in places where we unconscious walkers seldom venture. This is the role of the artist, performing an act of making sense, reinforcing a tradition, or creating a new vision of life for us. Qi! 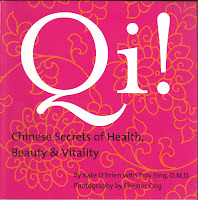 Chinese Secrets of Health, Beauty & Vitality makes Traditional Chinese Medicine (TCM) accessible to modern readers in a photographic yet highly informative format. More than 150 full-colour photographs shot in Hong Kong and Shanghai make this 200-page handbook a visual delight. According to Qi!, TCM can help anyone achieve long-term health and happiness. The Pregnant Guy recounts the tale of a man dragged from the comfort of mostly still behaving like a child into the unknown world of parenthood. If you’re also about to embark on the same journey, then you’re going to need this book. I Read 320 Books At 9, So Can You? A truly entertaining and informative book. This book will be a source of inspiration to both readers and non-readers alike. It serves to rekindle the enthusiastic readers' passion to read more books and enthuse the reluctant readers to pick up a book and read. The author - Dayna read 320 books at 9 years old. She started writing this book when she was ten years old. It took her approximately nine months of perseverance and hard work to complete it. This book is a timely reminder to all of us of the true value of reading for fun. A few strong drinks at a Christmas party. One foolish act. A fall that plunges him into a state of near-total physical helplessness. At the age of 18, Thomas Chua Chee Siong's life takes a dramtic turn when he wakes up from a coma... only to discover that he is paralysed from the chest downwards. Here is the true story of a young man's anguish, conflicts, and fears as he comes to terms with the painful reality of his shattered world. With humour and honesty, the author writes of how, through meeting the trials of each waking moment, he comes to experience his own inner courage. The result is a growing maturity of the human spirit that one would not expect of such a young person. 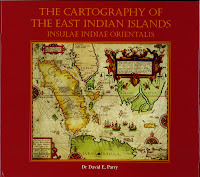 This volume seeks to chart that quest through the maps made of the East Indian Islands, or India Insulae Orientalis, the larger Southeast Asian region to which the true Spice Islands belong, from classical times through to the beginning of the nineteenth century. It provides the map collector with a comprehensive reference that will enable both the amateur enthusiast and the specialist to identify the maps of the region. 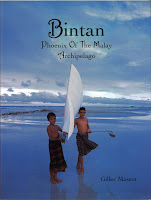 An exceptional and comprehensive insight into the life and times of Bintan, the 'phoenix of the Malay Archipelago', an island playing a pivotal role in the region's past and present. This book gathers a wealth of essential historical and contemporary information complied for the first time and presented in an attractive format, that will appeal to anybody with an interest for the Malay world. The necessary travel companion for people wishing to know more about this island, richly illustrated with over 250 photographs and completed with several maps. The Teenage years are a terrible volatile period of life. Most young adults go through this period terrible confused, feel alienated and struggle with issues of adapting in their respective environments. Teenagers that come from stable families also experience crisis. This book emphasizes developing and nurturing self-confidence. With true self-worth the young adult will be more aware of their behaviours and their intimate connection with everything that goes around them. In addition, the book gives essential tips on important areas in a young adult’s life such as relationships, health, and leadership, managing money, higher education and selecting a career. Knowledge is power. The Teen In Control is a book that helps teenagers take control of their emotions, thoughts and empowers them to become true mature young adults set to face the challenges of this world. Poised & Polished provides you with great tips to turn you into a savvy and sophisticated businessman or businesswoman. This power-packed guide covers vital information on the Business and Social Graces, focusing on topics like Firsts Impressions, Handling Conflict at Work, Corporate Dressing, Dynamic Public Speaking skills to Business Entertaining and Gift-giving. Also covers protocol on Continental and American Customs and Etiquette practices in Japan,Chin, India, Thailand and Philippines. Shih-Li just keeps on getting better and better. In her first full book of short stories (which, incidentally has been nominated for the Commonwealth Writer's Prize in the First Book category), Shih-Li's delicate touch and turn of phrase continues. She says she loves writing and obviously means it. She will not let any excuse get in the way of her passion. She holds a full time job working six days a week, and is a loving single mother with a ten-year-old. A quite island, a beautiful bungalow and a dream job; in order words a picture perfect life….. that is what attracted Arul and Ava to the island of Ayu. But then starts the haunting. The infernal wrath of an evil spirit rips their life apart turning their dreams into never ending nightmares till the line between natural and supernatural disappears completely. For the first time in their lives they know that real fear feels like, they know what real pain feels like; but what they don’t know is how to escape from the nightmares that follow them even when there are wide awake. The benefits of taking vegetables as part of your daily diet are well espoused by doctors and nutritionists. However, its specific curative properties have remained a secret until now. The secrets are revealed in this compendium detailing health, nutritional and curative benefits of more than 60 types of vegetables. The only book that provides real-life questions and practical, realistic solutions for new parents to help make their parenting experiences an enjoyable, stress-free one. 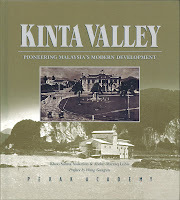 This unique book will enrich your knowledge and understanding of the state of Perak. 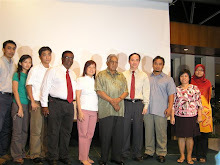 It represents a major effort by Perak Academy, in collaboration with the authors, to contribute a well-researched and attractively written addition to the literature on this Malaysian state which was once the largest producer of tin in the world and which pioneered the early development of modern Malaysia. This is a book about the senses. 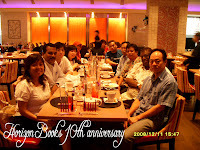 It is also about culture and food to a Malaysian these notions conjour and image of Penang Island - The pearl of the orient: food capital, tourist destination and home of durian. Thedurian has been familiar to South-East Asia for many centuries but was only discovered by the West about 600 years ago. Although it is found throughout South-East Asia, the specific conditions under chiwch a durian is grown affects its taste to a tremendous extent. The lush mineral soil, tropical climate and rocky terrain of Penang island reward its plantations with some of the best durian in the region. The most ambitious enterprise of Singapore's best-known exponent of the art of watercolour. 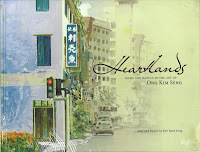 This book documents the artworks of Ong Kim Seng that celebrate the significance of Singapore's public housing landscape, built by the Housing and Development Board since 1960. 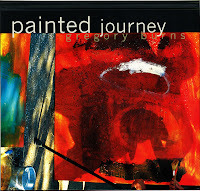 The paintings were exhibited in a show of the same name at the Singapore Art Museum in October 2008, together with a video presentation. A lonely jogger runs the race of his life after an encounter with a bewitchingly beautiful woman, a famous American goes for a stroll and is never seen or heard of again, in an old hotel, a writer is tormented by a ghost which preys on single women and in a haunted house a greedy gambler makes a pact with the devil. "Haunting' tales abound of a bomoh who advises millionaires and politicians and reputedly also has the power to fly; and an apprentice magician tells of his journey into the unknown. In these pages you will find thieves who can turn their victims into zombies with magic powder and unscrupulous people who keep genies in bottles to do their bidding. Though these tales sound fantastic, they are based on true accounts related to or experienced by the author over the last ten years. -How can you have an edge in today’s professional but competitive environment through positive imaging? - Which clothing style suits your body type – tall, short, heavy, or slim-build? - What constitutes Power Dressing and how can it be of immense advantage to you? - How to buy and wear colours that suit you and make you feel confident. You will discover precise and informative answers to all your imaging-related queries in this book. Whether it’s the corporate world or a personal setting, it takes much more than good looks to make a lasting impression. Personal Branding for Men will help you project your inner-confidence and self-image through the way you dress-up and style yourself. What happen when we die? What is a ghost, as spirit voice, and evil spirit, possession, haunting & aura? What are the signs of black magic attacks and demonic possession? How ca we terminate the attack? How do bogus sorcerers dupe their victims? Why do we have recurrent dreams ... and much more?